VOGONS • View topic - 98SE or XP for P3-based retro console machine? I'm looking at using my old P3-933MHz powered Dell GX200 to run NES, SNES, Genesis, TG16/PC Engine, and PSX games. 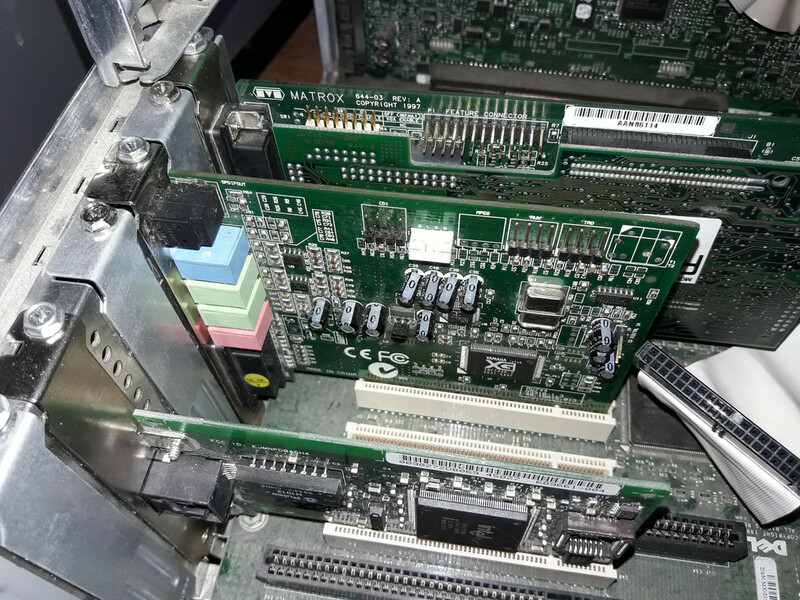 Right now my old Matrox Mystique220 w/Rainbow Runner are in it with 98SE as the OS. I'm going to switch that to a 64MB Sapphire Radeon 7000 to get S-video out from my machine to my rear projection TV in my bedroom. Keeping 98SE is an option, but I'm starting to think XP just for newer versions of some of the emulators. Re: 98SE or XP for P3-based retro console machine? I think newer versions of emulators would call for Windows 7 these days. For the things he mentioned (maybe except PSX), the old emulators are just fine and should work on either OS. If not XP, I would go with WinMe before Win98 SE, since you don't need the pure DOS mode. dr_st wrote: For the things he mentioned (maybe except PSX), the old emulators are just fine and should work on either OS. If not XP, I would go with WinMe before Win98 SE, since you don't need the pure DOS mode. Just dawned on me that I could also do Win2000 SP4. i have the gateway variant of this similar setup and i was torn on what to do with this machine and in the end came up with the same idea. i would go 9200/9250 maybe mine cam with Wme but i was thinking 2k for better compatibility hmm dos box on a 32in seems interesting but sounds like failure at the same time. It's up and running with XP SP3. The single biggest reason being that this machine is not connected to the internet or even the rest of my network, so being able to use USB storage to transfer files is critical and since all of my stuff is sitting on thumb drives and hard drives all formatted with NTFS. Last time I remember attempting to mount a USB drive didn't go so well. Here is a pretty good patch for supporting USB thumb drives in 98SE. I had used this patch with no issues on 3-4 Win98-computers. But the author tells it can cause some problems with IEEE1394. Right now I am using it for my PIII-1000 and P-200, both are 98SE. I recently used it successfully on a Win98 SE (English) version, and it worked like a charm, including USB 2.0 support via a NEC CardBus controller. Last edited by dr_st on 2018-7-01 @ 07:20, edited 1 time in total.